Don’t just burden your friends with your opinion. Make it official at your polling place. There’s no better way to reinvigorate the democratic spirit in you than to cast a vote for a worthy candidate or against one who didn’t impress. Want another reason? Your neighbor or maybe even your spouse may have voted already, and you don’t want to be left out. Voting is simple but important. If you are registered, you just need to show up at your local polling place on Tuesday. Don’t know where it is? Visit maine.gov/portal/government/edemocracy/voter_lookup.php, type in your home address, and you’ll find out. It wouldn’t hurt to bring identification, though you shouldn’t need it. Not registered? Bring identification — a photo ID works but so does a piece of mail that proves you live where you say you live — and head to the polls. Maine is one of 17 states that allow you to register on Election Day. Even if there is a problem with your registration, you still can vote under Maine’s challenged ballot law, so there’s no reason to leave a polling place without having your say. If you make a mistake on a ballot, you can take it to a volunteer at the polling place and ask for another. This is especially important as Mainers use ranked-choice voting for federal offices. Three candidates are running for governor — Democrat Janet Mills, the state’s attorney general, Republican businessman Shawn Moody and State Treasurer Terry Hayes, an independent. Alan Caron’s name will appear on the ballot, but he has dropped out of the race. There is no ranked-choice voting in this race, so choose just one candidate. Angus King, an independent, is seeking re-election to the U.S. Senate. He is being challenged by Republican Eric Brakey, a state lawmaker, and Democrat Zak Ringelstein, a teacher. In the 2nd Congressional District, Republican Bruce Poliquin is seeking a third term. His top challenger is Jared Golden, a Marine Corps veteran and two-term state lawmaker. Independents Tiffany Bond, a lawyer, and Will Hoar, an educator, round out the quartet in this race. Chellie Pingree is running for a sixth term in the 1st Congressional District. She is again challenged by Republican Mark Holbrook, along with independent Marty Grohman. All of these races will use ranked-choice voting. You can pick your first choice and rank all the other candidates as well. If you’d prefer, you can vote for just one person. Question 1 asks voters if they support an increase in the payroll tax for those making more than $128,400 annually to support a new home-care system. There are also four bond questions on the statewide ballot. Question 2 would allocate $30 million to ongoing work to improve wastewater treatment systems. Question 3 is the perennial transportation bond, this year for $106 million. Question 4 seeks $49 million for the University of Maine System, with an emphasis on educating students for professions facing shortages like engineering, nursing, education and computer sciences. Question 5 would raise $15 million for the state’s community college system to support a significant increase in enrollment, which will help with training workers for Maine’s growing industries. All 186 seats in the Maine Legislature are up for re-election, giving you an important voice in your local representation in Augusta. 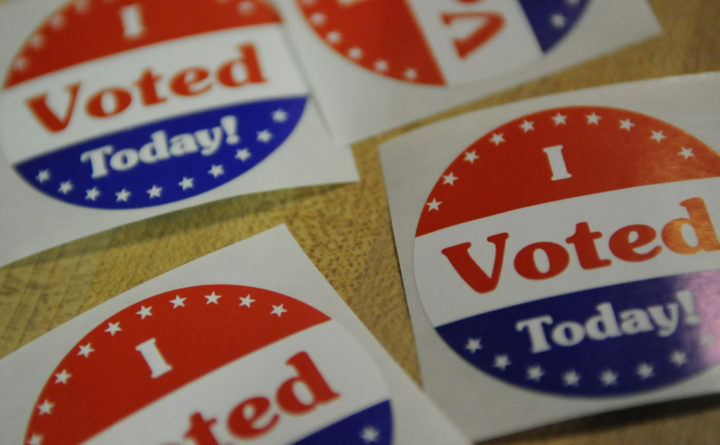 In many communities, voters will also cast ballots for district attorneys, probate judges and other offices. Don’t know who the candidates are or whether you support the referendum or bond questions? Visit the secretary of state’s website or check out the BDN’s election page. Buses in many communities, including Bangor and Portland, offer free rides to the polls. Many of your friends and neighbors likely already have had their say — the secretary of state expects about a third of Maine voters to cast ballots early. Make sure your voice is heard, too, by heading to the polls on Tuesday.